There’s a lot written about ambient music that drops the same names over and over — Eno this, Roach that. Hell, I’m as guilty as anyone on that count when making comparative references. 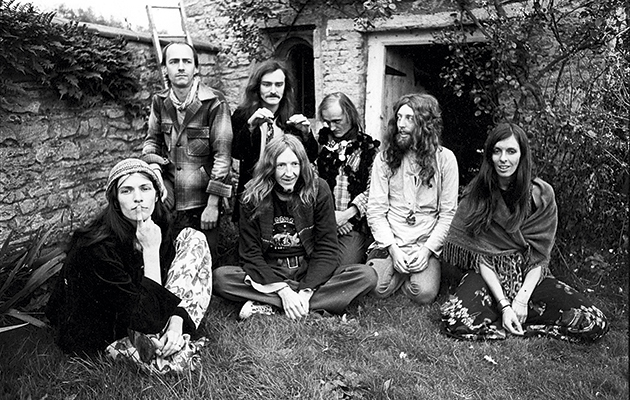 But in fact there are artists with extensive and impressive discographies working today who are the all-time ambient music legends of the future. I’m pleased to be able to talk about new releases by two such artists. Phillip Wilkerson has a very extensive and diverse catalog of releases that often focuses on “drift” ambient, meaning the beautiful celestial layers of pads kind, which is one of my favourite varieties of music. Now, he’s done other stuff, but sunshine-drenched releases such as Highlands and Sun Tracer are the ones that float my boat the highest. Wikerson’s catalog is also notable for its consistency in quality — he has not made a single recording I’ve heard that is not superb. Igneous Flame, I’m ashamed to say, is an artist whose work I had not investigated until recently. 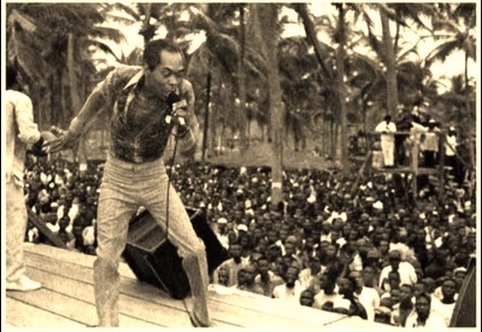 But that’s a mistake being being rectified STAT, because this guy’s music is a treasure trove. Pete Kelly has a large discography of his own that generally keeps to the mood of dark ambient, lush, dramatic, experimental and mysterious pools of sound art you can dive into for hours on end. Having said that, there is also variety in the music, and it’s not all dark and nocturnal. But yeah, you can mention this fella and Lustmord in the same breath. 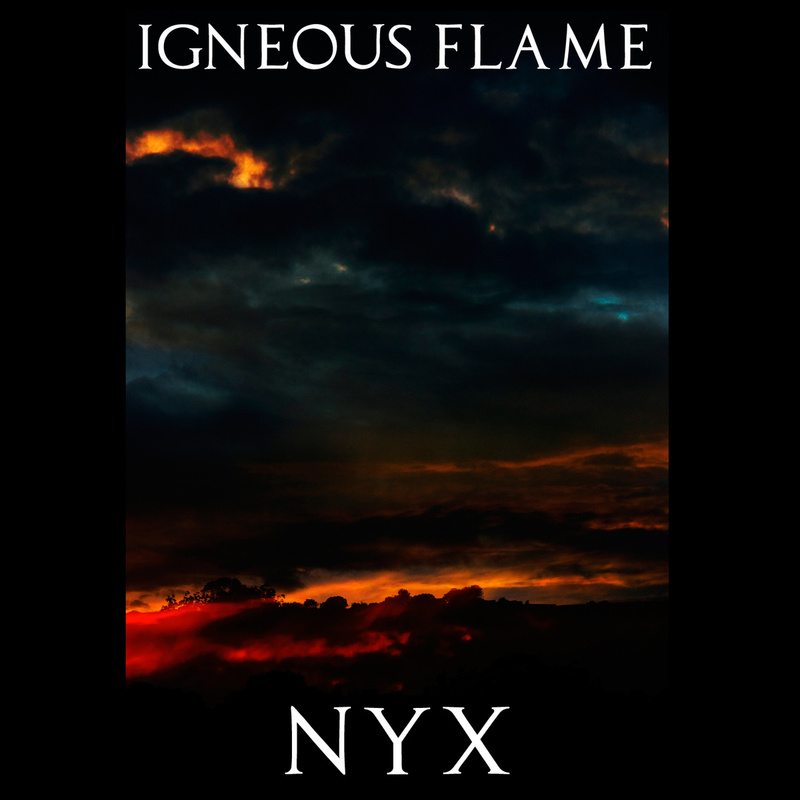 Igneous Flame’s NYX is a very generous helping of ambient indeed, clocking in at over hours, and is best digested in a single large helping, if possible. I’ve used it for meditation purposes about ten times, had it on while working, and also sat staring into space absorbing the little nuances on offer. And I conclude that this is not just really good, it’s totally effing good in every way. I’ve pointed out before that the differences between “meh”, workmanlike ambient and really good, thoughtful and carefully crafted ambient can be subtle. When you’re doing a recording of this length, falling into the boring trap would be all too easy. Kelly, however, has taken on the task of pad minimalism and succeeds admirably. Unlike the other more experimental recordings of his I’ve sampled, I’d say this is straightest ambient I’ve heard from him, the focus being on drones and synths, the all-enveloping haze and murk of mega-reverb. There’s a resemblance in feel to the works of other melancholy faves of mine, Matt Borghi and Jason Sloan, and I think these guys are on the same wavelength, but there’s also an element of sweeping drift ambient such as you might find on, well, Wilkerson’s albums and in the less minimal works of Oöphoi. However, unlike those others, Igneous Flame’s music remains nocturnal in tone, a late-night storm rather than a pretty sunshower. It’s somewhat silly to pick out highlight tracks from a work that is best enjoyed as a cohesive whole, but I found the choral synth sounds on “Night on Earth” particularly pleasing, as well as the hypnotic roar of “Deep Magic” and the slightly lighter tones of “Philtre” and “Wave”. NYX is dazzling in its consistent beauty, and I guarantee that pretty well any ambient music enthusiast will get hours of blissful pleasure out of listening to it. This may be a new direction for Igneous Flame, but it’s a path I hope he takes again. Super-duper mega recommended. If you’ve read this blog before, you know I hold the works of Phillip Wilkerson in high esteem. So I am very pleased to have a new release from him. As pointed out in my intro, he’s played around with various kinds of ambient, from drift to Berlin School-influenced stuff, and it’s all good. Sojourner is at the inspirational end of things. The theme of this album should be (and maybe is) tranquillity, because that’s the mood I was put it on listening to it. These tracks have a lightness to them, like a peaceful sunset in a rural place far from the insanity of humanity. Capturing a mood so pure and putting a listener into such a happy trance is a skill possessed by far fewer musicians than you might think. Track one, “Epiphany”, is pure drone in its most peaceful, calming form, undulating waves cresting over a bass drone foundation. “Sanctuary” is an organ-based piece that is well-titled … it conjures up visions of an ancient cathedral by candlelight. The shorter “Sunlit Drift” is airy and light, while “Gates of Mercy” evinces a slight tension amongst the bliss, a hint of sorrow but also of redemption. “Endless Light” again features waves of pads that roll in and break, then roll in again (hey, like the cover image!). Music this celestial is a gift and an affirmation of the beauty to be perceived in our everyday lives as sentient beings, which so often escapes our attention. The lengthy twenty-two minutes of “The Awaiting Presence” are a journey unto themselves, containing beauteous moments as well as slightly darker, disquieting tones not found in the other five tracks, before concluding with the soft sound of the surf. Wilkerson’s trademark pads swoop gently with delicately repeating figures underneath to help set the trance. 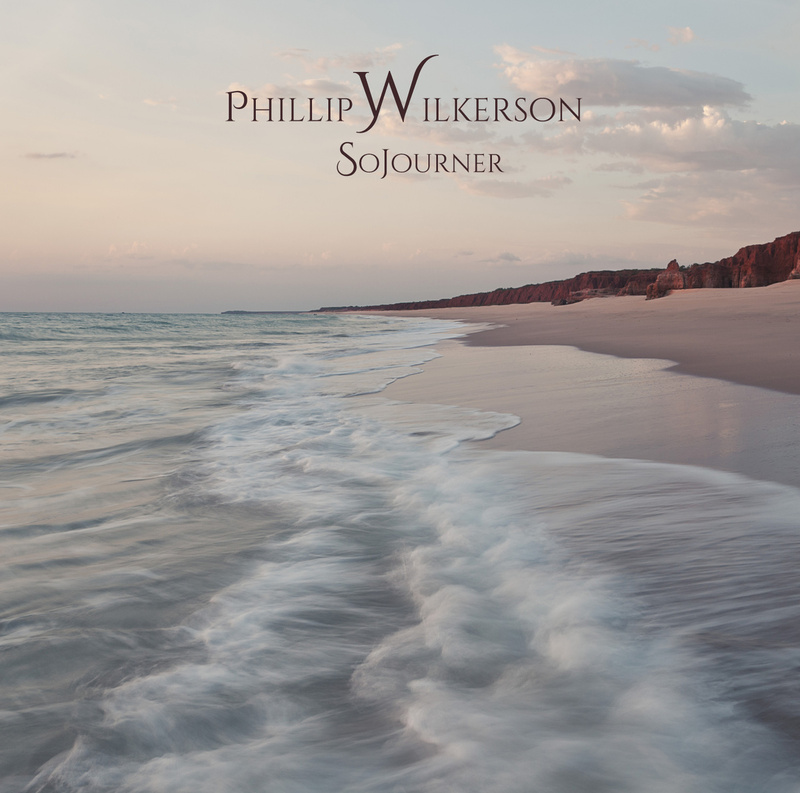 I can honestly say that I don’t think there’s anyone in the world today doing this kind of inspiring spiritual ambient music better than Wilkerson, and this is another triumph. Excellent review of ‘NYX’. I don’t say that just because it’s a very positive review of the album, it’s because I think it’s very well observed as well.